It is not uncommon to find audio path direction arrows on unbalanced RCA cables. Are these always sign posts of a snake oil design, or are there practical/scientific considerations? This topic of direction indicators on RCA cables has been discussed several times on this forum including in the Ethan Winer Null Test Thread. I understand that an audio signal cares not at all which direction it passes through a wire...that things like "Quantum Tunneling" are pseudo-science, and that if you design cables so that the direction of the signal DOES change the way music sounds...then you are probably designing cables that purposely interfere with the original signal. Snake Oil. On the Other Hand - Many high quality unbalanced cables have a metal foil or mesh shield around the ground and signal wires. I do not know how important RF shielding is in a home environment, but I do know that it was critical in auto sound systems (at least back when cars had distributors). I also understand that to be effective these shields are connected to signal ground at just one end of the cable...otherwise they can amplify RF interference. The shield is designed to be connected at the source end...and a directional arrow shows which end that is. This topic was brought up by a new user in the JDS Atom Thread. Was my response correct? I am trying to perpetuate truth rather than legacy myths. What is important when choosing unbalanced cables in the average home. Should shielding be considered a best practice? You are right about cables for car audio regarding the shield only being connected at one end, but whether they actually made a difference I don’t know. I just followed the cable arrows and didn’t think about it. I know that proper shielding really did make a difference in car audio cable, and because of the vibrations higher quality terminations also mattered more. Ground loops and alt whine is the main issue for auto RCAs due to the long lengths they need to run. I always found a good central earthing point and upgrading factory earth cables for the battery fixed both though. Is there ever an objective measurable justification for this? Ignoring the already mentioned shield connection, no. Analog music signals are AC. Connecting the shield at both ends may or may not cause RFI/EMI problems; it depends upon the components. Lifting the shield at one end, assuming the signal and return conductors are inside the shield (so at least three conductors in the cable), can break a ground loop and reduce sensitivity to EMI/RFI. Depends on the system and environment as to whether that matters. And which end has the ground tied also depends upon the components. By convention I tie at the source assuming the input impedance of the load is much higher (for audio circuits) and thus want the ground tie to have the lowest impedance possible. No way to tell without digging into the component if that is true for a given component. The other reason I have seen that at least bow to engineering (though again using misapplied for the application) are cables that include some sort of filter network at one end. Then people (Marketing, are they people? ) can argue if it is better to have the filter at the source or load end. Measurements will show if there is a ground loop or EMI/RFI and if it goes away, and if it matter which end of the cable is connected where. When I am really curious I will measure at source and load with a spectrum analyzer. Usually I just plug it in and see if it works. Thanks for your input Don. I knew when I posted that I risked doing "this again." This topic has been covered a lot. However, I have not seen it reduced to practical recommendations. Can you point me to, or provide that? In contrast, we do have practical recommendations for speaker wire. Gauge, quality of termination, and length of run are what to consider...although Amir's measurement in the "Is 12 Gauge wire really 12 Gauge" adds making sure the conductor is copper rather than copper clad aluminum can be added. I think there is agreement that shielding on an AC power cord is almost never important. But with unbalanced RCA cables, what constitutes a quality choice for home use is unclear to me. Specifically, the need for shielding, and how it should be done. On the JDS Atom thread I referenced in the OP, the existence of directional indicators in signal cables was dismissed by a knowledgeable member as snake oil. It certainly is, if the goal is one of those described in your first paragraph. But well made shielded audio cables are available for virtually the same cost as un-shielded, and your 2nd paragraph indicates that shielding and which end is grounded may be important. Plug it in and if RF goes away great, if not try reversing the cable is also good advice. 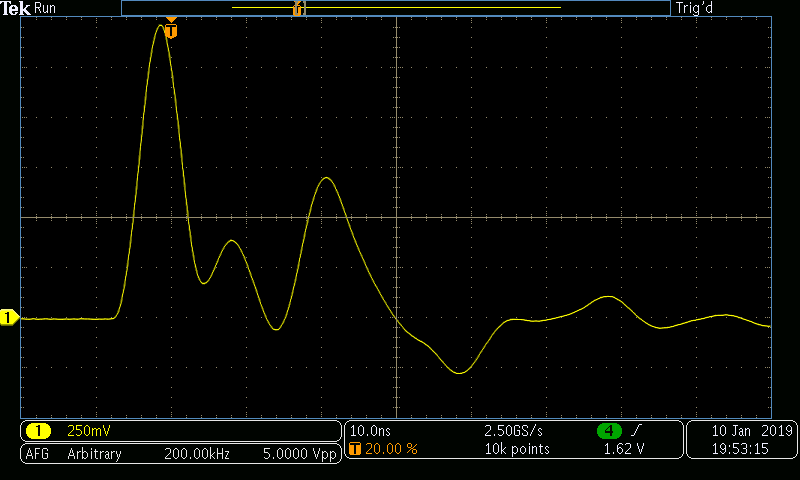 One challenge is that EMI/RFI interference probably always exists to some degree. It may also occur at levels easily measured, well above the SNAD of well designed Amps/Dacs, but not noticed by the user. Eliminating it would probably be far cheaper and more significant than worrying about multi-bit vs delta DAC decoding. So, from a practical standpoint, when purchasing unbalanced signal cables for home use should we consider shielding from the start ...or is the need for shielding in homes so rare that it need not be considered unless a problem is found? Additional shielding in a home is rarely needed IME -- but you never know if you will be the exception. The exceptions I have found are quite varied, from homes near a broadcast transmission tower, to CB/ham enthusiasts (who really needed to clean up their gear), to low-level lines strung or bundled inside conduit with power lines (generally a bad idea and usually against code), to rooms with a dimmer or older HVAC or 'fridge that spewed RFI around the house. These days a lot of LED lights cause our AM radios to buzz loudly but I have not noticed them ever bothering my stereo (HT) systems. I personally would not pay for extra unless I knew I needed it, but there is no "general" answer beyond "generally" folk do not need an extra shield layer, and it makes cables bulkier and less flexible. If the component is well-designed then it will reject RFI at the inputs and outputs; if not, an extra shield layer may or may not help depending upon how the ground circuit is handled in the component. I personally shy away from CCA for historical reasons (i.e. I have a bad history with Al and CCA power wiring and a bad experience or two with speaker cables) but it should be fine for audio as long as you go up a gauge or two from the usual (e.g. Russel's) speaker wire guides. I would like to know if the "audiophile" cables that supposedly address real phenomena/effects (that, however, don't apply to audio) have ever been tested to see if they even are capable of doing what they claim for an application where said effects are significant in any degree. Or is it all "double-bs": not only does it not affect audio, but their cable geometry/materials/etc. aren't even capable of addressing the effect at the frequencies where it would/could apply? I have asked this before on other forums, but I am mostly invisible or ignored so I've never received replies or comments haha! I am assuming the "solutions" to these problems are complete bull, or we would be reading about these products being applied to NASA, CERN, nuclear power plants, Easy-Bake Ovens, or something other than just expensive audio. No idea. Some of the cables appear to be pretty standard cables in a fancy wrapper. Some create their own but I sort of doubt they are using some magical new wire spooling/manufacturing machines never seen before. And some of the talk is fancy words for pretty standard construction techniques. There are undoubtedly special techniques used for some cables and custom designs. Audible or technical advantages? I'm from Missouri; show me. Well pick some cables and ask about particular effects. I done some testing of AQ directionality on their interconnects. Nothing turns up. When did AQ become honest? 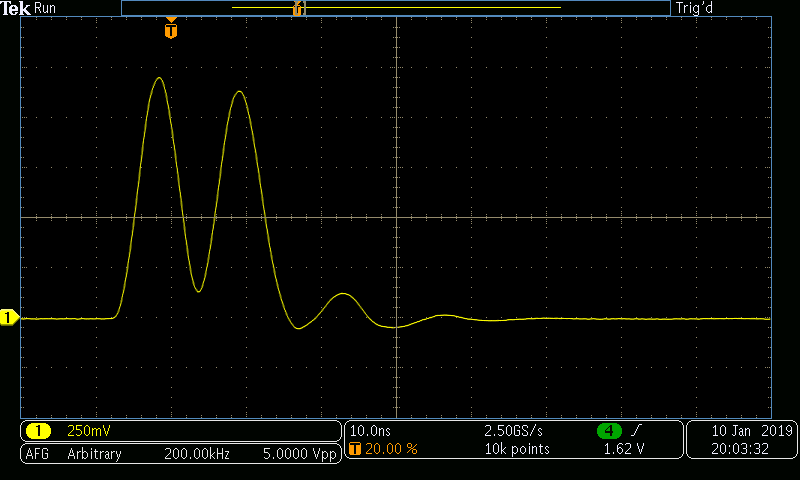 I connected a pulse generator and a scope to one end of an AQ Tower RCA cable, leaving the other end open. Do you have a TDR? How long was the cable? Do you have a TDR? I have a scope, an AFG, and a BNC T coupling. Close enough. How long was the cable? As I said, the far end was open. I need your help in choosing a DAC.